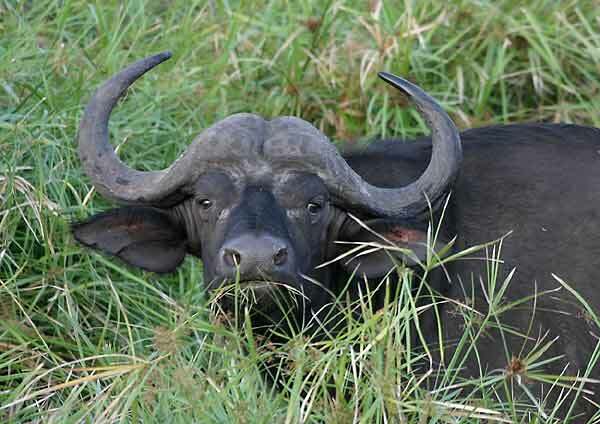 Caption: Close-up of buffalo standing in tall green grass, Kruger National Park, South Africa. Photo: © Scotch Macaskill. Location: The Kruger National Park, situated in South Africa's lowveld region, is the country's premier game reserve.